Welcome to eco – tourism farm Gradišnik. Where great atmosphere, full stomachs and lots of memories are guaranteed. Eco-tourism farm Gradisnik is located in Jamnica, a mountain village above Prevalje. The farmhouse is surrounded by coniferous forests that offer their green beauty even in the winter, when nature rests. The old Carinthian granary, which has been serving its purpose for centuries, is also a part of our farmhouse. We host guests, who want to get familiar with life on the farm or guests, who come to us for a vacation. For great atmosphere, full stomachs and lots of memories, it is guaranteed. On the farm, animals have plenty of space to move around and enjoy organic feed. The fields, which are situated on a more steep terrain, are relatively small but large enough for the production of potatoes and grain. We grow a wide selection of vegetables and herbs, of which tomatoes and peppers we grow in the greenhouse. In the orchard, we can afford ourselves fruits directly from trees, as they are not sprinkled at all. Among the old tree species, apples are those, which dominate, followed by pears, cherries, plums and aronia. 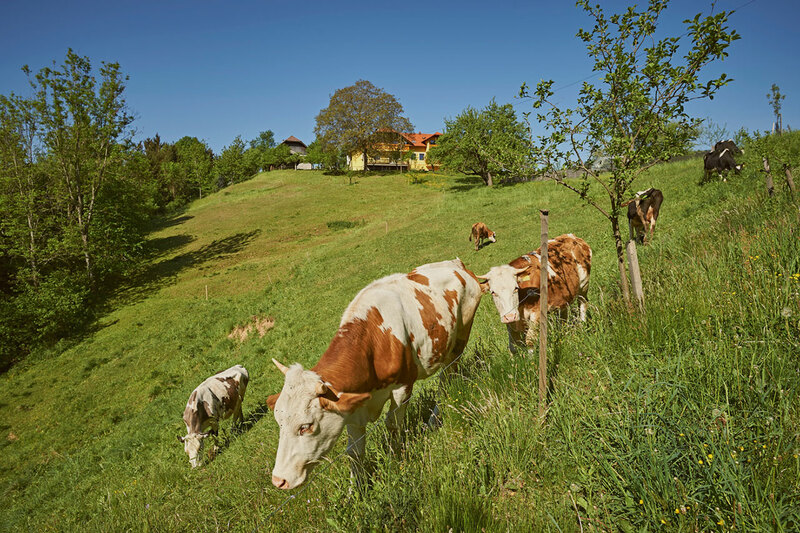 Welcome to the Eco-tourism farm Gradisnik, where, far away from the crowd, the time stops for a moment. 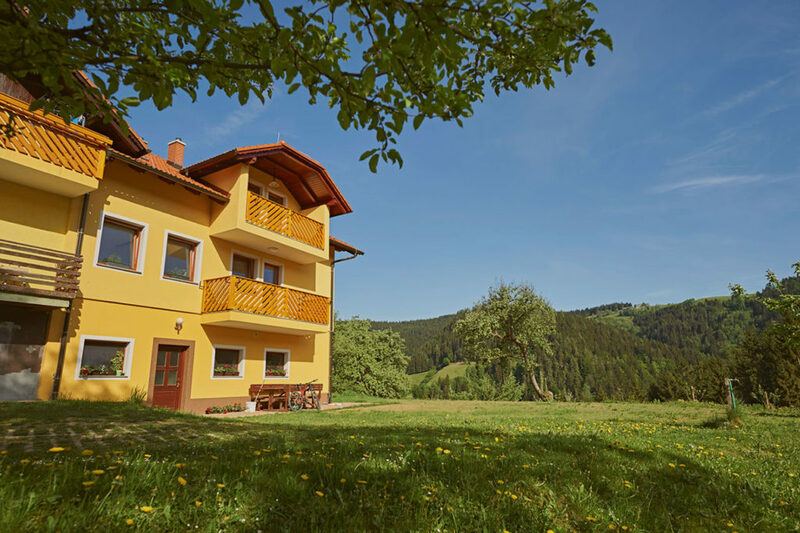 Cycling, hiking, Carinthian cuisine and staying in comfortable homelike apartments is a guarantee for a good and unforgettable experience in the heart of nature. Welcome to the Gradisnik farm. 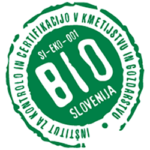 Eco- tourism farm Gradisnik is a recipient of the certificate Ecological Farming. 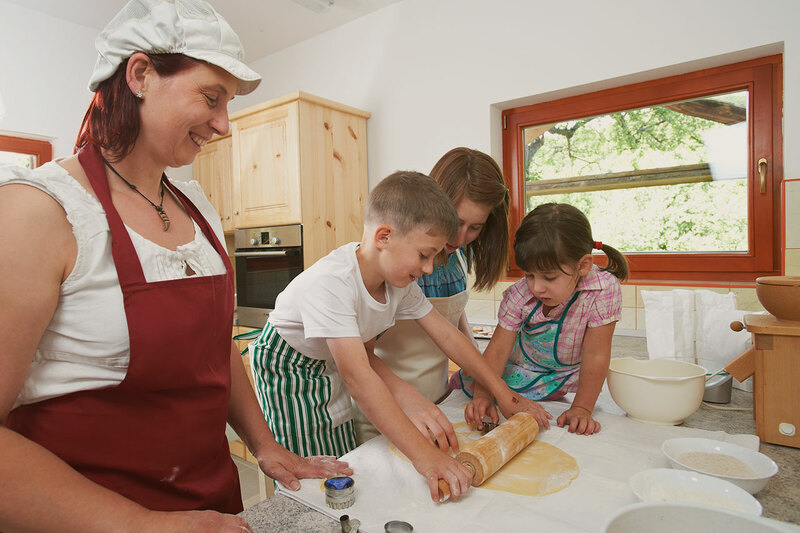 On the farm we traditionally bake rye bread, various pastries and traditional Potica cake (Potitza) in an old oven. We are recipients of many certificates and quality awards. 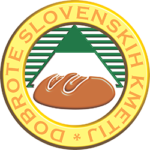 Every year we also take part in the exhibition ``Delicacies of Slovenian farms`` taking place in Ptuj.